Simple in detail, but no less beautiful. 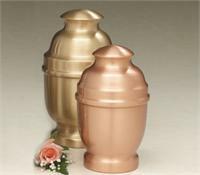 Made in your choice of either machine spun copper or in bronze as shown located at rear of photo. 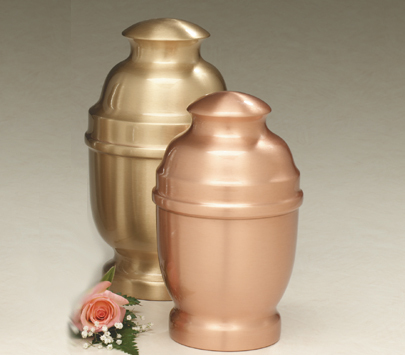 For an additional charge, urn surface may be engraved for a personal touch. Also available in small size.